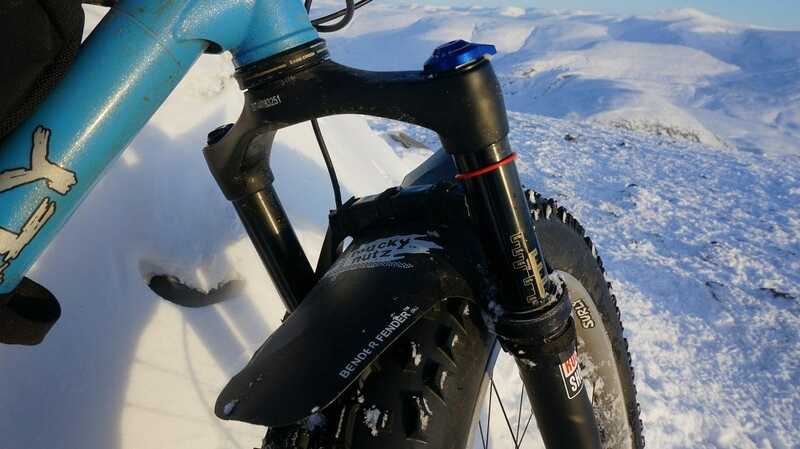 Ever since fat bikes first came to market well over a decade ago, riders have tinkered with adapting suspension forks with varying degrees of success. As an off the shelf solution, the Maverick American SC 32 inverted fork found favour among the cognoscenti while those with a more engineering bent could be found in the local machine shop custom milling a wider crown for a Cannondale Lefty fork. 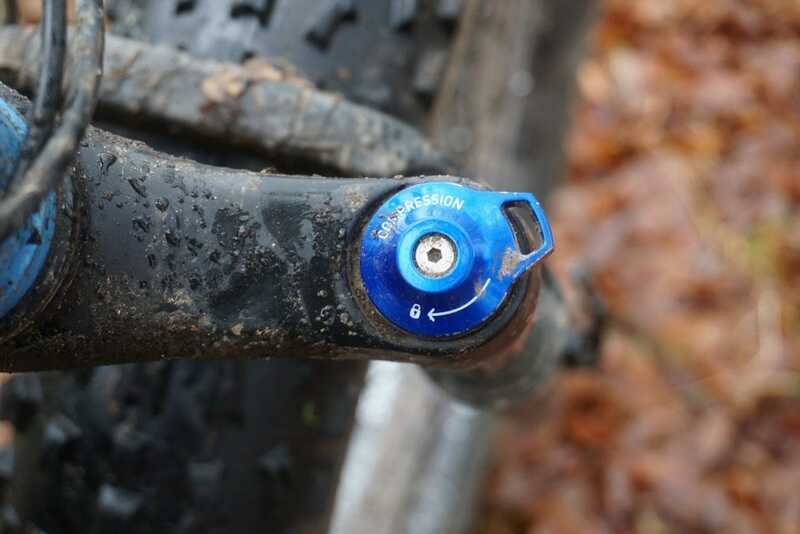 It wasn’t until Rock Shox introduced the Bluto that there was finally a viable, mass produced fork designed specifically for fat bikes. Ever since I got my first fat bike, a first generation salsa Beargrease, I had a hankering for one. 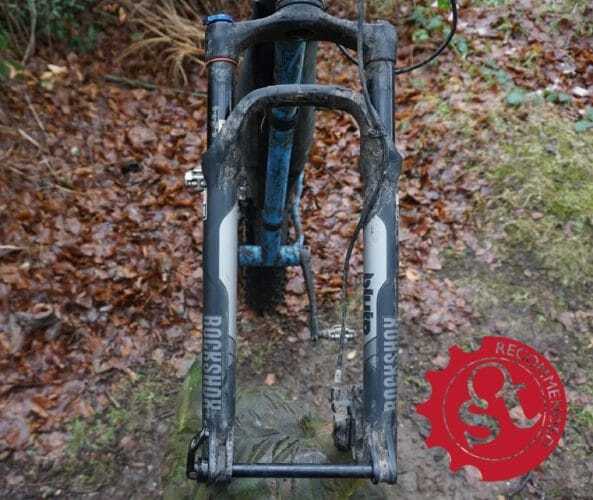 Rigid bikes are great but just as front forks become standard fare for pretty much all mountain bikes in the early nineties, I had a sneaking suspicion that the Bluto would have the same impact as the venerable Rock Shox RS1 all those years previously. Testing in the snow in the mountains. Named after Popeye’s nemesis, the Bluto can be had in three travel options; 80, 100 and 120mm. I opted for the 100mm option for use with my Surly Ice Cream Truck. 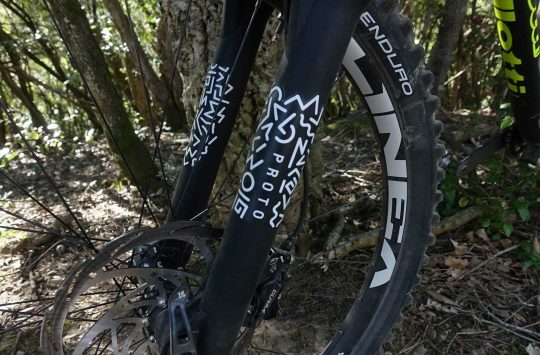 With 100mm rims and 4.8 tyres, I felt confident that any weaknesses in the forks would become quickly exposed. There is an awful lot of rolling mass there for the forks to handle. Designed around a 26 inch wheel size platform (how quaint you say! ), taking the Bluto out the box, my first impression was “is that it?” Matched up with my admittedly enormous tyres and rims, the forks have an almost spindly quality. In this age of 36mm stanchions, it’s funny how 32mm looks positively scrawny. 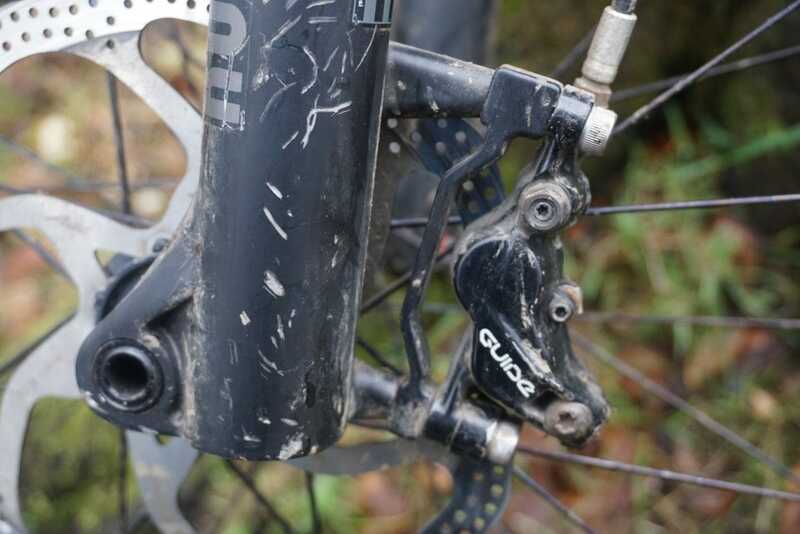 Built around a 150mm hub platform, to my eye, they just looked like a squished and stretched set of Rock Shox Rebas. Sag marks make for easy set up. At a measured weight of just under 4 pounds, they aren’t exactly heavy and the front end didn’t feel all that different from the straight bladed steel forks which they replaced. Bouncy duties are taken care of by Rock Shox proven Solo Air spring system. Air is pumped in at the top of the left crown while on the right, there is a blue anodised dial which adjusts compression damping down to lockout. 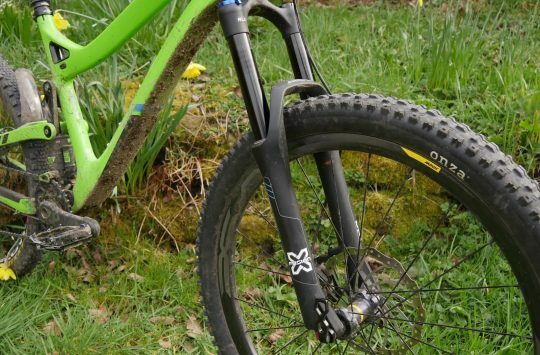 The stanchions are 32mm aluminium and feature Rock Shox Fast Black coating. Sag percentage marks are built into the stanchions which greatly assists set up while recommended sag settings by weight are printed on one of the outer legs. For a self-confessed spanner monkey like me, set up was a snap and I found the recommended setting for my weight to be spot on. Once set, I never felt the need to go back and adjust the air pressure at any point during the test period. Truly fit and forget. At the bottom of one leg, there is a red anodised rebound adjuster knob with a picture of a turtle and a hare to denote which way to rotate it. You can probably figure out for yourself which is fast and which is slow! Decent clearance for a 4.8 inch tyre. 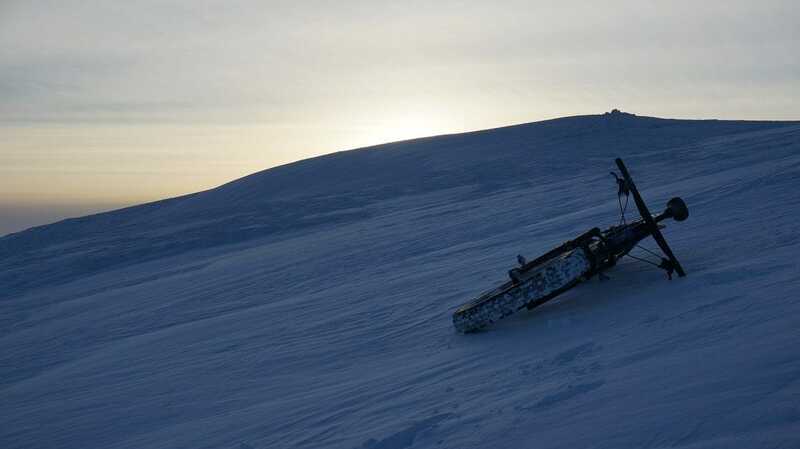 Once fitted to my bike, I set out to find the toughest terrain I could to test the forks. Big mountains in Scotland and the Lakes were to be my test area. Boulder fields? Check! 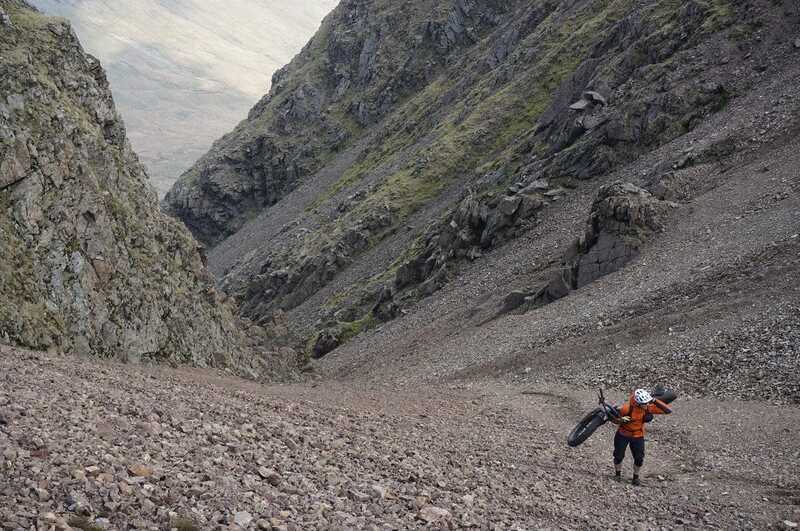 Rock strewn, loose descents? Check! Stone pitched descents that feel (to your fillings, at least!) that they go on forever? Check! Add in a raft of beach rides, slow speed rock crawls and all manner of long XC rides in between and I reckon I had all the bases covered. So how did they perform? Checking out the Bluto’s cross country chops. Despite their positively skinny appearance, the Bluto never failed to hold a line in even the most challenging of terrain. 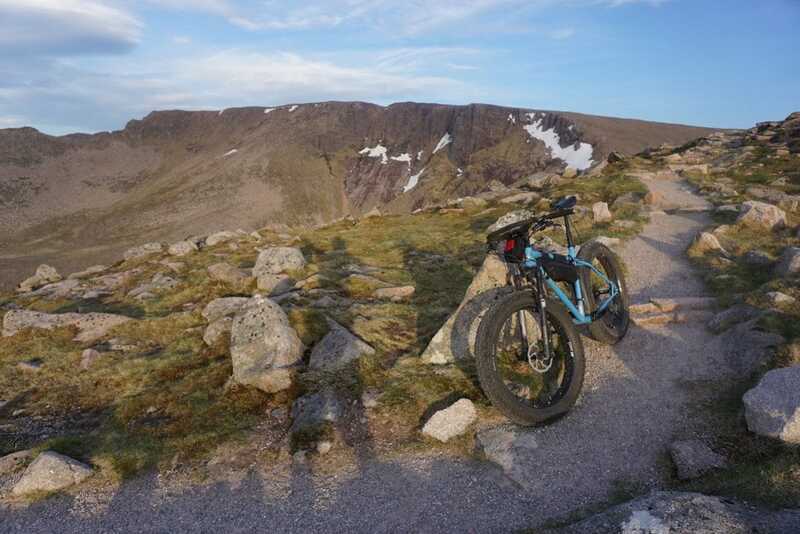 Crashing through a boulder field in the Cairngorms and following it up with a long descent on stone pitched trail beneath the Northern Corries, at no point did I detect and fore and aft play under heavy braking. While the wheels would ping from rock to rock, the Bluto gave me nothing but confidence. Turn the bars, point and shoot, it was that simple. Very quickly, I came to the conclusion that beefier stanchions weren’t required. Big mountain hike a bike somewhere in the UK. 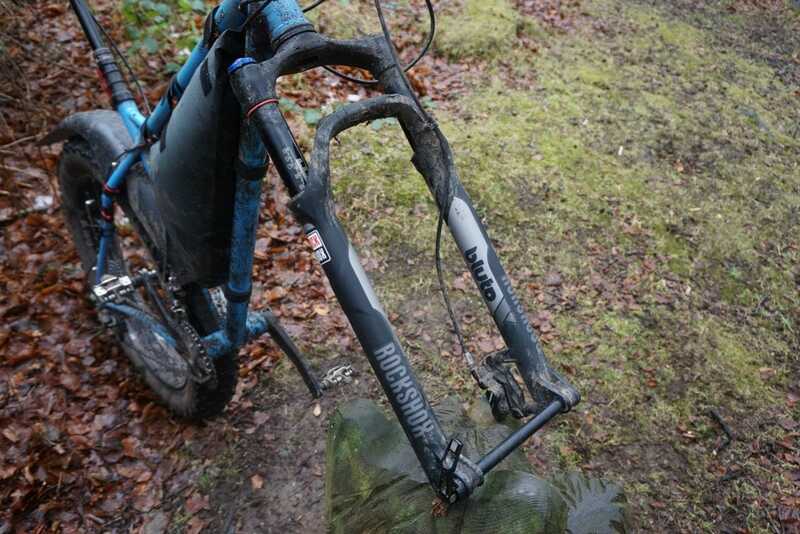 On long descents, the forks remained supple, taking hit after hit without becoming bedded down in their travel. 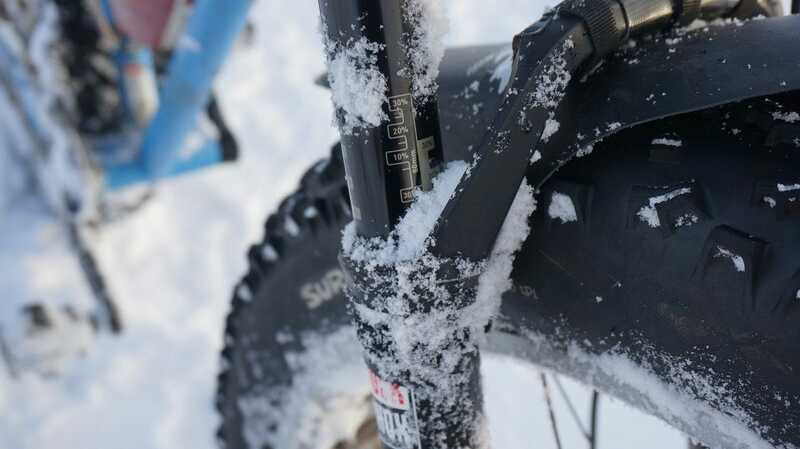 While 100mm is now regarded as short travel XC, coupled with fat tyres it felt like an awful lot more. As I wrote previously about my long term test Surly Ice Cream Truck, it is a bit of a hooligan that eggs you on to push that bit harder. The Bluto added an extra dimension of capability to the Truck. On slow speed, low tyre pressure rides, the Bluto acted to counteract the inherent bounce of my fat tyres. The occasional pogo stick sensation that fat tyres can deliver was definitely mitigated against. Approaching the end of a 13 hour day. On long, XC rides, I felt appreciably more relaxed around my neck and shoulders than when riding fully rigid. As such, the Bluto allowed me to ride for longer and in more comfort than before. 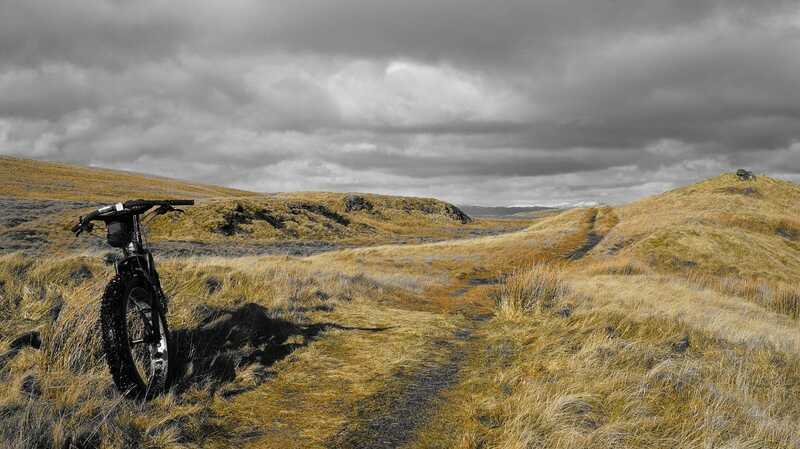 The lockout was a useful feature when riding tarmac to and from the trailhead. Clearance wise, the Bluto accommodated my 100mm rims and 4.8 inch tyres with room to spare. 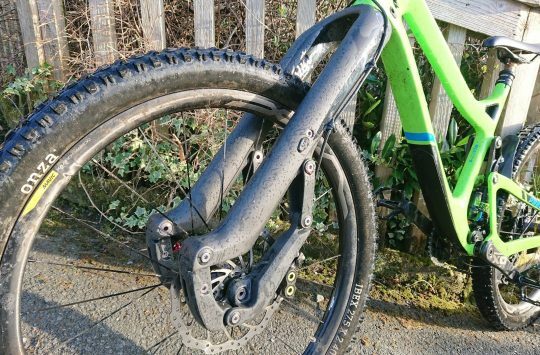 However, I would have appreciated a little extra clearance when I tried to fit a Mudhugger front mudguard as the tyre would rub on it to the extent that it wasn’t an option when things got muddy. The lattice work on the arch looks cool and no doubt saves a modicum of weight but it acted as a magnet for mud. Gorilla Tape was deployed early in the test to cover it up. Good performance at sub zero temperatures. While photographing the Bluto for this test, I noticed just how many scratches and chips there were on the lower legs. I have had my fair share of offs and encounters with the ground but to their credit, the Bluto has shrugged everything off and kept working. The stanchions themselves remain unmarked and the forks have yet to be serviced. I am sure that Rock Shox will throw their hands up in horror when they read that but with a maintenance regime of regular cleaning with soapy water, a rinse down with a low pressure hose and a spray with silicone based, errr, spray, the forks have performed flawlessly. I should have penned this review a lot sooner, however the extra testing time has proven to me just how durable and reliable the Bluto is. 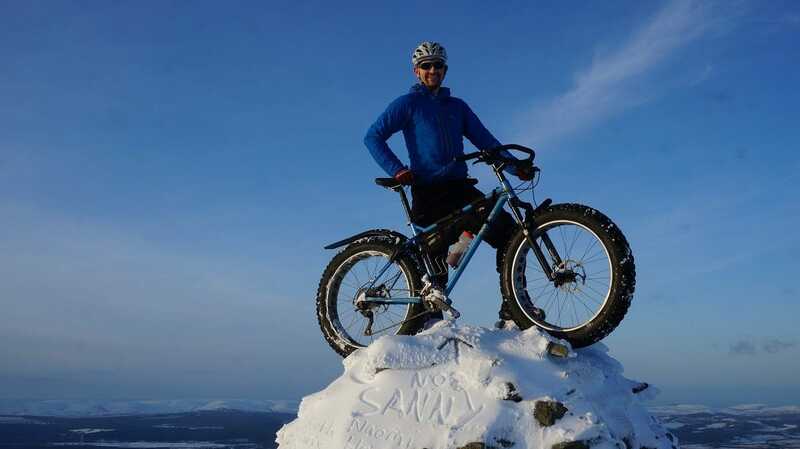 I have subjected them to riding in all weathers and conditions – salty beach rides, XC epics, big mountain adventures, bikepacking, snow, hail, rain, sleet, mud and sun –sometimes all in the same ride – and they have never let me down. Colour me impressed. A hero stands thus! Sanny man-legging for the camera. Overall: When a product works as well and as reliably as the Bluto, it’s hard not to be impressed. 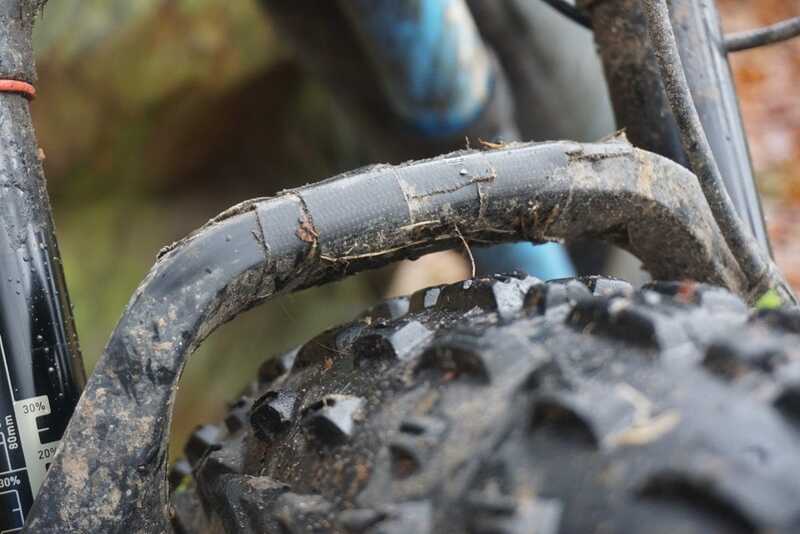 They aren’t in any way fancy nor are they loaded with the latest in damping technology but as a set of forks which can be relied on, they deliver. Sure, the mud clearance for 4.8 inch tyres could be a little better and I suppose they could be made to look a bit chunkier but I’m really splitting hairs here. In an age of disposable technology and ever more standards, it’s refreshing to test a product that just plain works and works really well. Recommended. Works and works really well. I have to agree with Sanny, mine are three years old, one service, still going strong.